The romper cannot be avoided these days. 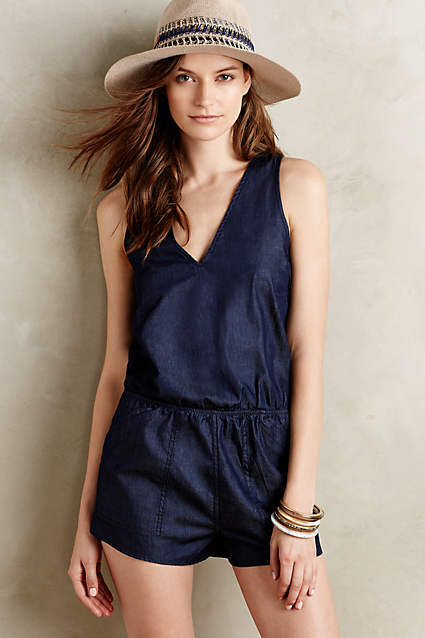 I also love the Anthropologie McGuire Sailor Romper in dark denim. 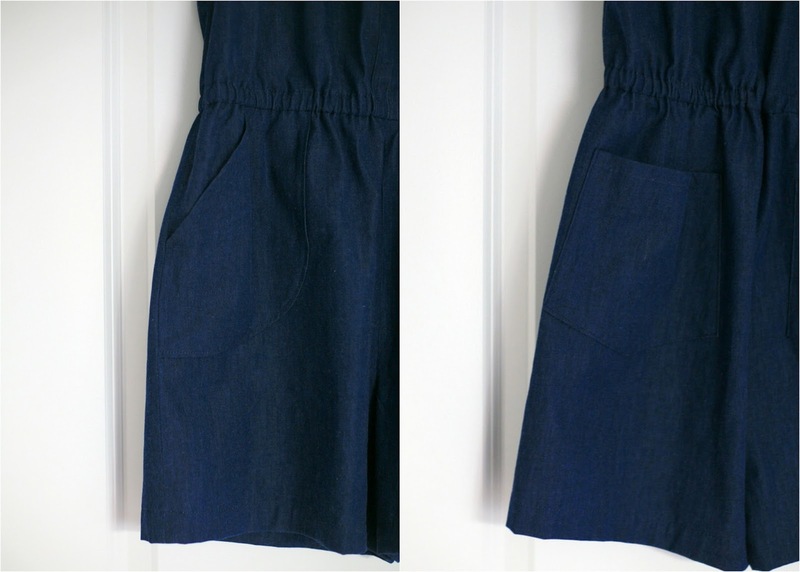 So, I found some nice lightweight dark denim and made my own! I combined the simple tank dress top of McCall's M6744 (except I gave it an open button placket at the back so I could step into it) and the romper shorts of Simplicity 1355, a versatile dress/jumpsuit/romper pattern I've used several times even just this year (see all my uses of Simplicity 1355 here). It's so fun to wear out on a hot day! I had fun doing the top stitching and shapes of the pockets, a lot like the Anthropologie one. Necklace: Jules Smith, c/o Favery. Purse: Old Navy (similar/similar/similar). Sandals: Old Navy (similar/similar). 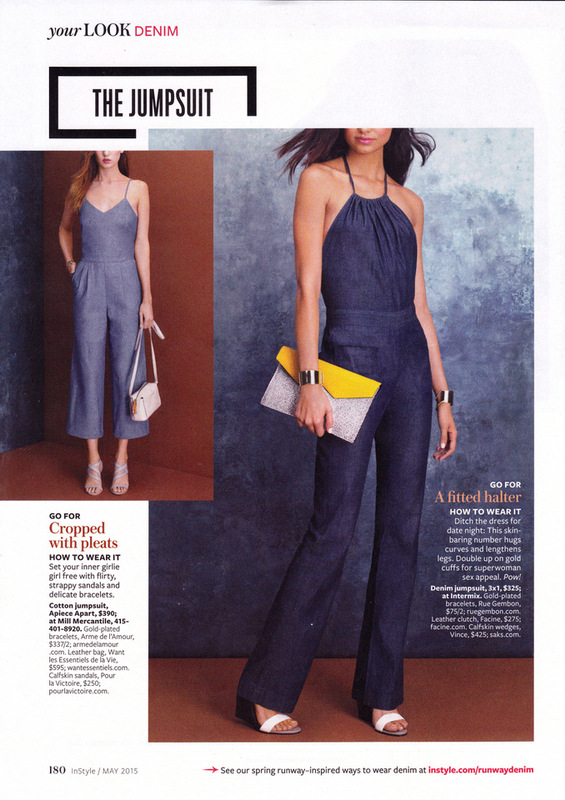 I highly encourage making yourself a romper this summer!